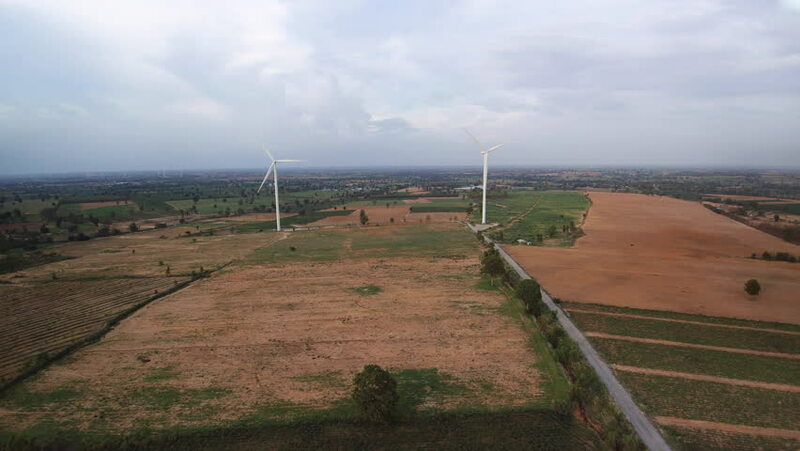 Aerial view Wind power turbine produce electricity, Thailand. 4k00:23White train passes over the field. Liege,Belgium - October 1, 2016: SNCB high-speed train passes over the field between Liege and Leuven. 4k00:21Drone Aerial View Of Wind Farm And A14 Road Cloudy Blue Sky. 4k00:30View from the sky, wind power generators. hd00:10Giant wind turbines being constructed in Germany. Aerial shot.